If Jupiter is in his own sign (Sagittarius or Pisces) in the first house (ascendant) the native will be a. good speaker and well-versed in Shastras. He will have full knowledge of three Vedas good number of children and will be happy, long lived and learned. If Jupiter is in his sign of exaltation (Cancer) all the above results will be fully realised and in his 16th year the native will enjoy the effects of Maharaja yoga so caused by Jupiter. If Jupiter is in the house of his enemy, or in the house of a malefic, or is associated with a malefic or in his sign of debilitation (Capricorn) the native will indulge in sinful deeds, he will have an unstable mind and a medium span of life. He will be childless, ungrateful, full of false vanity, will 74 forsake his near relations and well wishers, like travels, will be inimical towards others and be miserable. 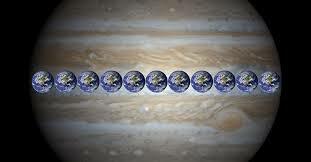 If Jupiter is in the second house the native will be rich and intelligent. What he foretells will come true. In his 16th year he will enjoy financial gains and agricultural prosperity. He will also be very powerful. If Jupiter is in his own sign (Sagittarius or Pisces) or in his sign of exaltation, the native will be very prosperous and wealthy. If Jupiter is associates with a malefic there will be obstacles in educational pursuits and the native will be a thief, liar and will have vulgar speech. If Jupiter is in his sign of debilitation and associated with a malefic, the native will be a drunkard and immoral. He will be a destroyer of his family and will have relations with other people's wives. He will also be childless. If Jupiter is in third house, the native will be very miser and there will be a good number of brothers. The native will be very clever and determined. He will forsake his relations and will have travels in his 38th year. If the lord of the 3rd is strong the brothers will be longlived. If the lord of the 3rd is associated with a malefic there will be loss of brothers and the native will be impatient by nature, an idiot and poor. If Jupiter is in the fifth house, the native will be highly intelligent, will have broad eyes, will be a good conversationalist, full of glory, will feed others, love family and in his 18th year become commander of the army by the favour of the king. He will also have a good number of children who will be prosperous. If the lord of the 5th is strong and at the same time in the house of a malefic or his enemy or he is in his sign of debilitation, there will be loss of children or the native will have only one issue. He will be rich but will suffer loss of wealth on account of penalties imposed by the king (Government). If Jupiter is associated with Rahu or Ketu, the native will suffer loss of his children on account of the wrath of Serpent God but this will not happen if Jupiter is aspected by a benefic. The native will destroy his enemies, there will be growth of the members of his family (some have interpreted this to mean increase of nephews and in-laws), he will have grand-children and marks of wounds on the body. If Jupiter is in conjunction with a benefic the native will be free from diseases. If he is associated with a malefic or is in the house of malefic, the native will suffer form rheumatism or diseases due to cold. If Jupiter is in the sign of Saturn (Capricorn or Aquarius) in association with Rahu or Ketu the native will suffer from diseases of the worst type. If Jupiter is in the seventh house, the native will be highly educated and a]§o worried. He will have lot of financial gains and his wife will be learned, chaste and devoted to her husband. If the lord of the 7th is weak or is associated with Rahu, Ketu, Saturn or Mars or is aspected by any of these malefics, the native will have illicit relations with women other than his wife. If Jupiter is associated with benefics, is in his own sign or in his sign of exaltation,the native will have and be attached to one wife only and he will gain wealth through his wife. He will be happy and earn great respect in his 34th year. If Jupiter is in the 8th house, the native will be shortlived, and indulge in undesirable activities. If Jupiter is associated with a malefic, the native will be sinful. If the lord of 8th is associated with a benefic and is posited in the 8th the native will be long lived. If the lord of 8th is weak, he will be short lived. If the lord of 8th is associated with a malefic the native will have illicit relations with widows after his 17th year. If Jupiter is in his own sign or in his sign of exaltation the native will be long lived, free from diseases a saintly person, learned and well Versed in vedas and Shastras. The native will perform religious and charitable deeds, will take interest in meditation and will be pious and wealthy. He will perform religious ceremonies in his 35th year. His father will be long lived, he will be righteous and will receive respect and honour in many ways. He will give protection to many. Comments-The above Sutras are very logical and to the point Beneficial results have been attributed to Jupiter in the ninth house because as a natural benefic he 83 improves all the good significations of this auspicious house. Still better results would be experienced if Jupiter is in his own sign or in his sign of exaltation. If Jupiter is in one of his own signs, by being lord of 9th in the 9th, he will give rise to a powerful Rajayoga giving name, fame and wealth to the native. If Jupiter is in his sign of exaltation (Cancer), the ascendant will be Scorpio and Jupiter will be in the ninth house as lord of 2nd and 5th, giving rise to an extremely powerful yoga for prosperity and fame. If Jupiter is in the eleventh house, the native will be learned, wealthy and will have lot of financial gains. In his 32nd year he will possess horses to ride on (this means he will acquire conveyances) and will have widespread reputation. If he is associated with benefics and malefics he will possess elephants and will have pronounced good luck. If Jupiter is associated with Moon, the native will have effortless financial gains.